Are you going to A-Kon 27 in Dallas? You should be! 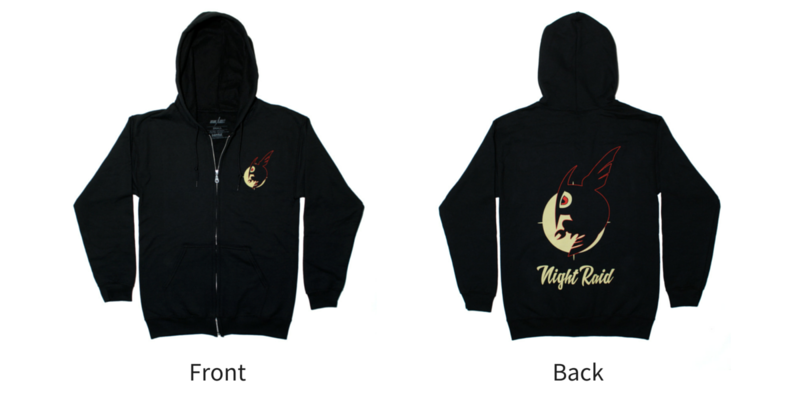 Besides, we’ve got something REALLY special planned for you guys. 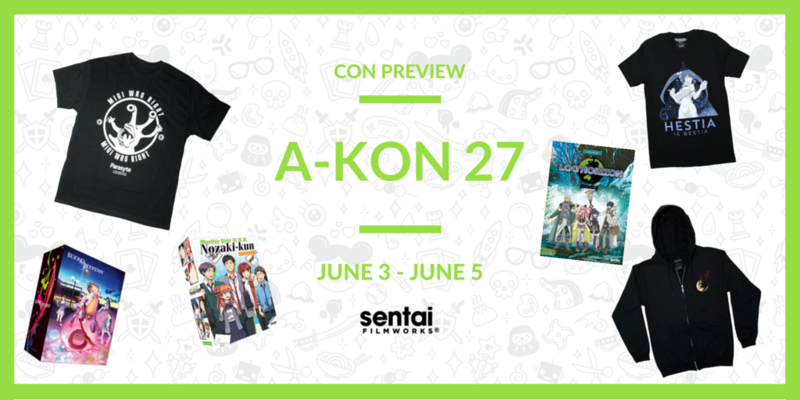 Where Will Sentai Filmworks Be at A-Kon 27? You’ll also be able to enjoy Sentai Filmworks shows from the comfort of your hotel room! We’ll have a dedicated channel within the hotel playing your favorite titles throughout the convention. Want to hear about the new and exciting stuff we have in the works? Stop by our panel in the Grand Ballroom A&B on Friday, June 3 from 3:00 PM to 4:00 PM. You’ll also be able to enjoy a screening of a surprise show on Saturday, June 4 from 5:00 PM to 6:30 PM. What’s Happening at Sentai’s Booth? … and (of course) the Hestia Cosplay Shirt from Is it Wrong to Try to Pick Up Girls in a Dungeon? Aspiring voice actors and actresses, Sentai wants to notice you! This year, we’ll be holding an open casting call to audition new voices at A-KON in Dallas. Be one of the first 200 entrants to visit the Sentai Filmworks booth between 10:00 AM and 12:00 PM for a chance to join our pool of vocal talent. If you’ve got what it takes to bring your favorite anime characters to life, stop by our booth to sign up and grab your audition lines. We’ll See You at A-Kon! Don’t be shy, folks. Come down and say “hi” to us at our dealer’s booth, and be sure to stop by on Sunday for the open casting call.